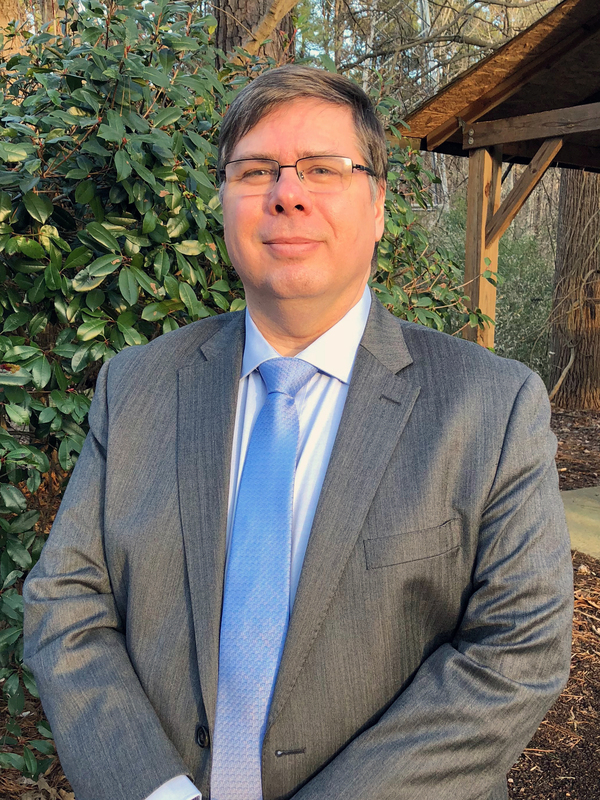 The UNC Cancer Network is pleased to announce that Jon Powell has accepted the permanent role of Continuing Education Specialist, as of May 8, 2018. Jon served as Interim Continuing Education Specialist from December 2017 to May 8, 2018. His qualifications and hard work led him to earning the position on a permanent basis. Jon will be directing many of the activities associated with professional education and North Carolina community college education. He comes to us from Campbell University, where he was an adjunct instructor. Jon’s background includes experience with teaching at several institutions of higher education (including UNC at Chapel Hill) as well as project management and computer technology in the advertising and marketing sector. Jon is deeply committed to the field of education, and is excited about the opportunity he has to play a pivotal role in the education lectures. Jon reports to Tim Poe, Telehealth Director, and is located at ITS Manning. We are confident that Jon will be an excellent match for this position and a strong asset to the UNC Cancer Network. Jon will be located in ITS Manning, Room #3300 and can be reached at jonpowell@unc.edu. Congratulations Jon! We are thrilled that you are a part of our team! 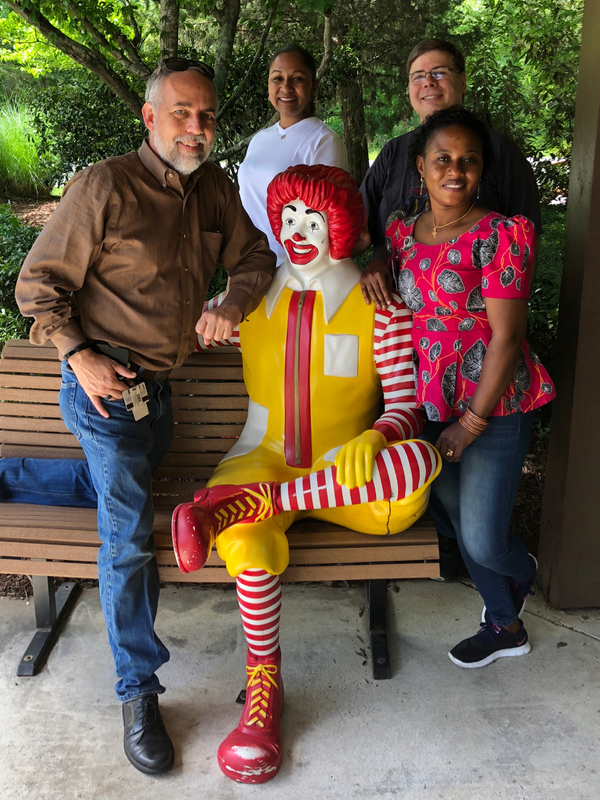 On May 15, 2018, the UNC Cancer Network Telehealth Team utilized some of their Community Service Leave to volunteer as a group at the Ronald McDonald House in Chapel Hill, NC. The Ronald McDonald House offers a variety of volunteer opportunities, encompassing everything from working directly with staff, providing dinner every night , and brunch on the weekends, light and deep cleaning, house repairs, outreach, planning events, providing a day of support, and administrative support around the office. After going on a brief tour of the house, Caitlinn LaScala, Family Room and Volunteer Services Manager, provided a list of household tasks. The team worked in groups of two and vigorously cleaned the kitchen and library. They also organized the pantry, scrubbed baseboards, vacuumed, meticulously cleaned windows, sanitized tables, highchairs, and toys. “Volunteering at the Ronald McDonald House was an eye-opening experience. What the staff does, on a daily basis, to help families in need is incredible. It felt great assisting with whatever was needed, and being in such a warm and compassionate environment. We were honored to help in any way, “said Mary King, Operations Coordinator. Special thanks to the Ronald McDonald House for their hospitality and for what they do for families in need of a soft place to land.